Throughout these lessons we’ll explore the techniques involved in lighting a car using V-Ray, Maya and NUKE. We’ll discuss the steps required to setup advanced lighting techniques within V-Ray which starts with using an image based lighting setup. Along the way we’ll use a back plate to line up our car in Maya. Then we’ll create precomps/lighting comps using NUKE. 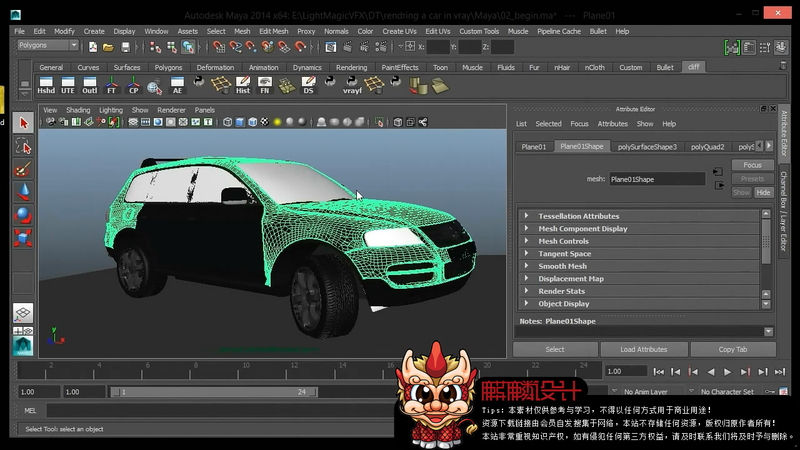 By the end of this tutorial you will have a solid understanding of the workflow that is required to light and render a car in V-Ray and Maya.